Five and a half years ago I started this blog & if I think back as to why, it was mainly because I started to follow other blogs around 6 months earlier and the more I followed them and interacted with those bloggers, the more I started to think 'I do that too' and to realise that others might actually be interested in hearing about my practice. I was still surprised by how many people did begin to follow the blog and interact with me on a regular basis. I am the first to admit, I sometimes speak before really thinking, so a blog is good for this as I have to mull over my thoughts before blabbing them out into a post!! Teachers in general are a secretive lot, in the main they do not play well with others, are terrible at sharing and prefer to teach behind closed doors. I say in general, as there is a growing movement within teaching that is very open to sharing and collaborating with each other, learning from each other and constantly questioning their own practice and striving to provide the best possible educational experience for those in their care. I spent a weekend at a conference with two such teachers in 2012, one from primary and one from secondary and I was overwhelmed by their enthusiasm and passion for their jobs, new technology and for embracing the opportunity to learn from others around the world. The best step I took was to follow these two on Twitter as it opened a whole new network for me, or a Professional Learning Network (PLN) to give it the 'correct' term. It also introduced me to the wonderful world of #niedchat and so I found myself sitting in a lecture theatre in a local teacher training college on a Friday evening in October, surrounded by other teachers, attending my first #TeachMeet. @Daithi and @MrMalcontent had managed to persuade me to put my name into the hat as a presenter that evening, with the assurance that as there were over 30 presenters in the hat it was unlikely I'd be picked out. Mmmm how foolish of me to listen to those two, as lo and behold my name came out on second! The idea of #TeachMeet is that teachers sign up to give a presentation of either 2 or 7 minutes to colleagues, names are picked at random by an electronic rickety wheel! There are only a handful of people involved in organising these events and yet it is always run very professionally. This summer funding was suddenly withdrawn from the only CPD opportunity that teachers/educators in N.Ireland have had in the past few years - the 3 day summer school from RTU. Most teachers heard the news and just accepted it. But the group who help organise the #TeachMeet heard this news and through a series of tweets began to organise a one day CPD opportunity run by teachers for teachers. They called it niedcamp and managed in a few short weeks to organise a fantastic day of collaboration and learning for teachers. I was fortunate to get to present twice at this event, firstly for an hour to other early years colleagues and later for 7ish minutes to colleagues across all sectors at a #TeachMeet that was organised to close the day. Weirdly it was in exactly the same lecture theatre where I had had that first opportunity to present and again, it was interesting to present to teachers who were not just from nursery. The whole day was such fun and considering this was taking place on one of the hottest, sunniest days of the summer and the last week of most our holidays, the turn out of over 350 teachers was impressive. In conclusion I would say that sharing about practice be it through blogging or a short presentation at a #TeachMeet, has been one of the best methods of self-evaluation for me. 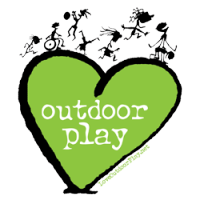 It has helped me to reflect on why I do things the way I do and encouraged me to challenge why I feel the way I do about outdoor play. But most importantly it has allowed me to surround myself with a supportive network of like-minded colleagues who help inspire me daily to strive to be the best teacher I can be. 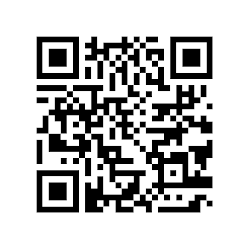 The next TeachMeet will be in the Guildhall in Derry on the 18th October 2015. Sometimes, no matter how much we think we know something, we have to actually witness it ourselves to truly believe it! Last month, I was fortunate to spend a week in the company of other educators as passionate about getting children outdoors as I am. 4 of us from very different settings and countries (Martin from an outdoor preschool in Cornwall, Unnur from a traditional nursery in Iceland, Lesley from a cooperative nursery school in Washington, D.C. and myself from a nursery unit in a primary school) all came together to help share our practice and experiences with educators, parents and children at 2 newly established outdoor nurseries in Lithuania - one in Vilnius and one in Kaunas called Lauko Darželis. On the two days we spent in the nurseries I was able to see just why schools need to have loose parts on offer in their playgrounds. Young children are so open to new ideas and have that self-belief that they can make anything they want to from whatever resources they have to hand but somehow as children get older they seem to lose this ability. As I teach in a nursery unit in a larger primary school, I get to see most of the children I have taught as they move on up through the school. It always makes me a little sad when I encounter those same children who believed they could make anything or draw anything as 3 year olds, tell me as 8 or 9 year olds that they can't draw or wouldn't know how to go about making an aeroplane with junk. I know something is happening in our education system to stifle their natural creativity but until last month I hadn't really connected the importance of loose parts and this creativity. A load of pallets and within a few minutes an insect hotel is created. 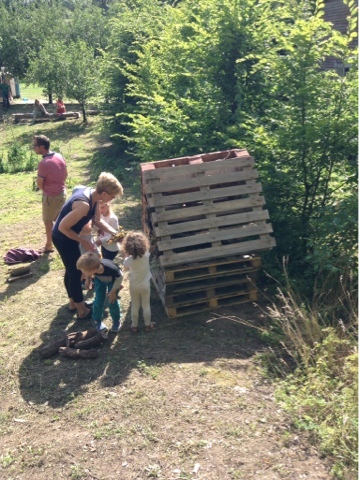 On the day we were in the Vilnius nursery Martin & Unnur spied a pile of pallets and immediately thought 'insect hotel'! 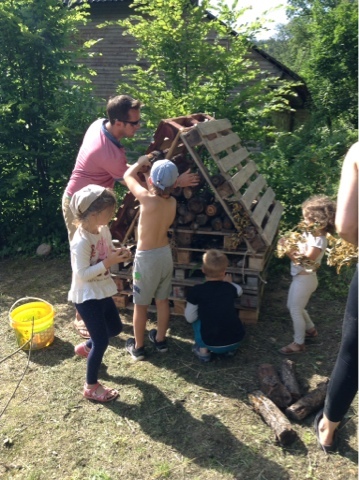 They were able to grab a load of pallets and quickly make a basic frame for it, then some of the children and staff from the nursery began to fill in the hotel; they were able to find all of the necessary elements in the playground - sticks, logs, pipes, long grasses etc. As I watched the take ownership of the hotel and begin to fill it in I realised that by having all those component loose parts close to hand the nursery was allowing the children and adults to be as creative as possible. How many times do children want to make something to enhance their play, only to look around a playground and only see fixed equipment? The bare metal structure getting it's woven 'walls'. 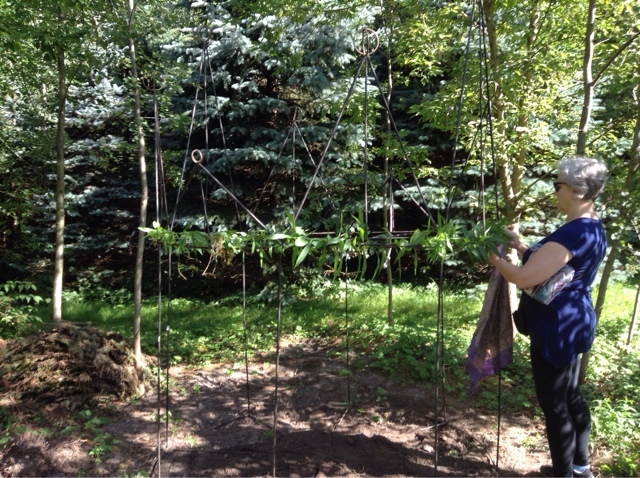 Another day at the nursery in Kaunas, we initially decided to make a temporary den using a metal frame that was already in situ, we found long, leafy branches to weave around the frame and then added larger trees branches to the roof to create a cosy den for the children. They immediately moved in to this space - getting longer branches to make a 'door' and adding containers and pine cones to create a 'kitchen'. The children take control of this den and begin to make it theirs. But this wasn't enough for the really creative members of the team! 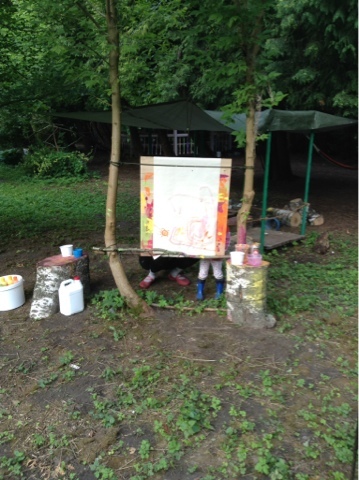 Martin, Unnur and Lesley began to look about for another project and when a member of staff mentioned that they would ned a sleeping area for the following week when the children began to attend full time, Martin spied the potential of a clump of trees! All that as needed, that wasn't already on site were some tarps and ropes and hey presto, within a matter of hours a sleeping area had been created amongst the trees. As I watched this unfold, it again struck me that none of this could have happened without the necessary components being readily available. 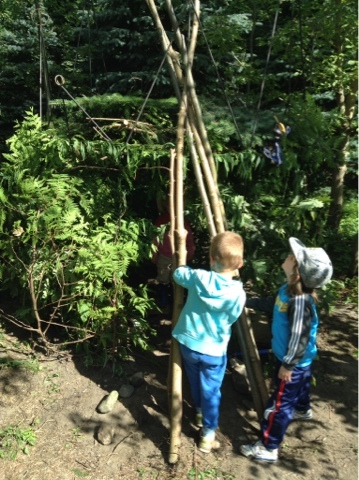 This time, of course, it wasn't loose parts, strictly speaking, as they had to cut trees and branches to get the basic frame but this project showed what can be achieved in the right environment. If playgrounds have sticks, logs, crates, tyres and tarps readily available at playtime, then if/when they wanted to children could build shelters. As I witnessed these projects I realised that children and adults can only be as creative as their environment allows them to be and that by letting children spend time in a natural environment like the woods or to be surrounded by loose parts, we can but only help them to become or remain creative. 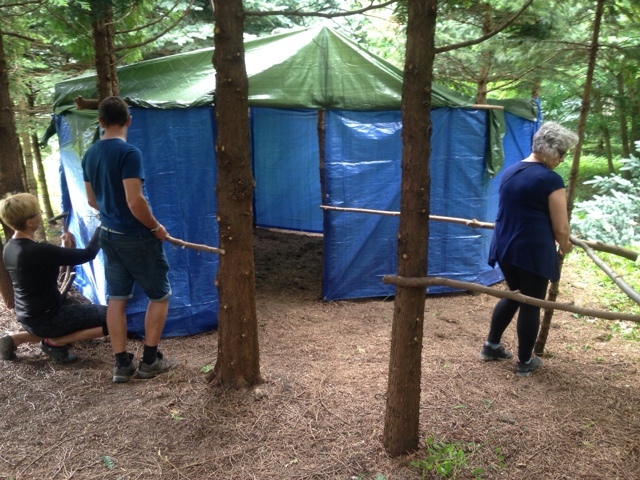 The finished shelter getting an entrance! The magical entrance to the outdoor nursery at Kaunas. Each year for the past 10 I have had at least one child who enters the class with little or no English. I firmly believe the preschool year is the best year for this to happen, as it is so language rich as an environment & also very visual. The adults tend to mime most of the actions they are asking the children to do - washing hands, putting in coats etc. I watch each year as these 3 and 4 year olds make connections with us and their peers as they play, at first just playing alongside each other but then gradually playing with each other. It is always wonderful to witness this connection through play. 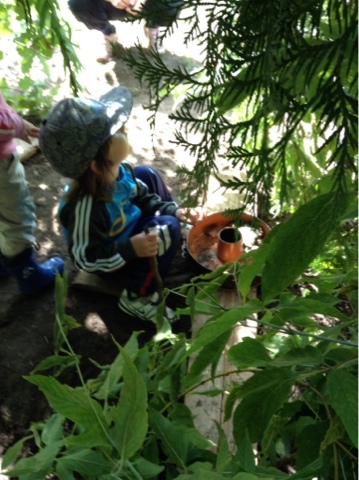 Last week as I spent a morning at Lauko Darželis in their 2nd and newest nursery in Kaunas, I was reminded how important play is for making connections with young children. I speak no Lithuanian and the children spoke no English yet as we played alongside each other in the sand pit, we were able to make a connection. 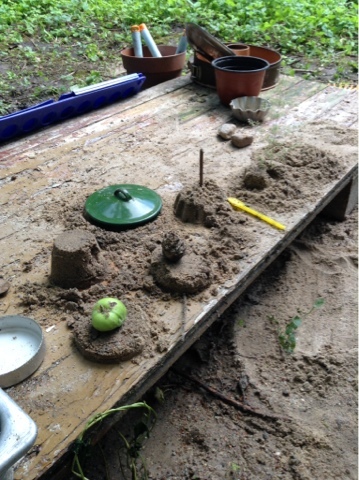 The children were making sand pies & at first were just content to play alone but then they began to watch each other to see how each was achieving a different end result. As I looked around to find some decorations for my sand pie, they began to include me in their play. One child asked his mother (one of the two teachers in the nursery) how to get me to come and play with him and when she told him to say "Please come" he used this all morning as an invitation for me to follow him or join him in his play. 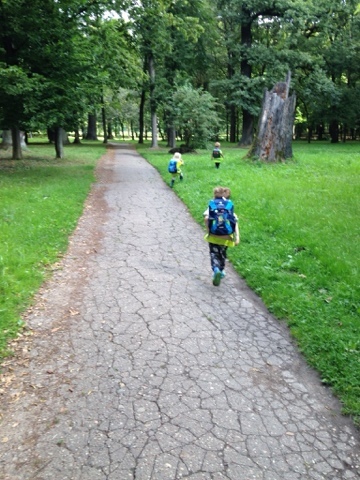 During our week in Lithuania, we had talked debated about how so many preschools look exactly the same & therefore the theory is that you could drop a blind folded teacher into any setting and they would feel 'at home'. I would argue that you could drop anyone who still has the capacity to play anywhere in the world and they would manage to make connections with others. A skilled adult can play alongside a young child making the teaching implicit. It made me realise that this is how the young children in my class without English manage to find their feet so quickly - they learn so much of the mechanics of school by playing alongside their peers and by imitating what they see. I had similar experiences in Norway when I spent a week in a kindergarten and picked up more words while playing with the children than I ever did by just listening to adults talking. It does make me realise how much harder it is for children who have to join a class at a much older age when there are less opportunities to learn by doing as opposed to listening to instructions and less chances to 'play' outdoors. By chance this piece by Dr. Scott Sampson (http://www.truth-out.org/opinion/item/31890-swapping-screen-time-for-getting-dirty-why-kids-need-to-spend-more-time-outside) appeared in my feed today and it reiterated what I was trying to say: being outdoors in nature and playfulness go hand in hand and it was the latter quality that allowed me to interact with the young children at Lauko Darželis. 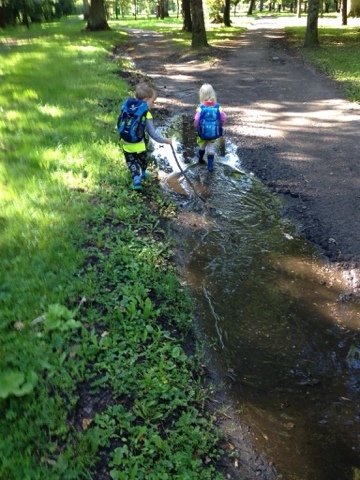 The sooner we all realise that the preschool experience should be as informal and as outdoor based as possible the better.